L.A. Noire will have a new audience this Fall when the game is set to arrive for the PC. Not much else is known about this version, but the ability to edit the game is a possibility that could peak interest for users wanting to try the detective drama on PC. 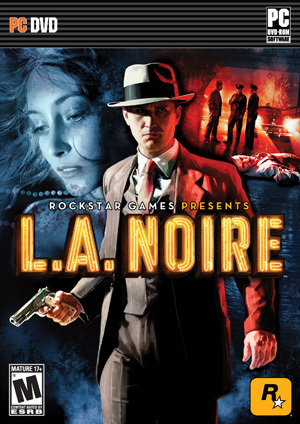 Since it's launch in May, L.A. Noire has sold over 800,000 copies across the PS3 and 360. "Originally developed by Team Bondi in conjunction with Rockstar Games, L.A. Noire is a crime thriller set in post World War II Los Angeles. As Detective Cole Phelps, players must search for clues, interrogate suspects and chase down criminals to solve a series of cases based on real world incidents. As he rises through the ranks of the LAPD, Phelps comes face-to-face with the corrupt heart of Los Angeles: from fallen starlets to double-dealing police officers and the vast reaches of the criminal underworld and finally, the darkness of his own personal demons"